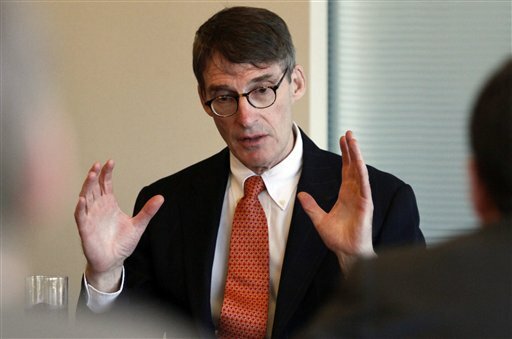 Jim Grant: We’re in an Era of ‘Central Bank Worship’ by Henry Bonner, Sprott Global. Rick Rule, Chairman of Sprott US Holdings Inc., often quotes Jim Grant’s description of government bonds as ‘return-free risk.’ (Rick sees US Treasuries as the ‘anti-gold’).Jim Grant took my questions on interest rates and the bond market – including Bill Gross’ recent departure from PIMCO – via phone from his Manhattan office. Jim Grant took my questions on interest rates and the bond market – including Bill Gross’ recent departure from PIMCO – via phone from his Manhattan office. Jim Grant, you argue that companies whose share prices are rising should be becoming more efficient – hence driving down the costs of consumer goods and services. Jim Grant: Many years ago, falling prices were a sign of improved efficiency and expanding wealth, and of widening consumer choice. Thanks to the spread of electricity and other such wonders in the final quarter of the 19th century, prices dwindled year by year at a rate of 1.5% to 2% per year. People didn’t call it deflation – they called it progress. Similarly, in the 1920’s there were advances in production techniques. The prices didn’t decline and didn’t rise. They were stable. Looking back on the 20’s from the vantage point of the 30’s, many people wondered why prices had not fallen. They concluded that it was because the central banks were emitting too much credit, and that credit had served to inflate asset values. It had also pushed the world into a very imbalanced credit and monetary situation towards the close of the 20’s. Jim Grant: What I don’t know about the future, we don’t have the time to go into. I dare say that stock prices will not continue to rise uninterrupted at the same pace. That’s not a very interesting prediction, but the stock market is certainly a cyclical thing. Stock prices will pull back in the fullness of time, whether it starts 5 minutes, 5 months, or 5 years from now. I think it’s fair to observe that today’s ultra-low interest rates flatter stock market valuations. Stock prices are partly valued based on a discounted flow of dividend income. To the extent that the discount rate you use to value that stream of dividend income, which depends on interest rates, is artificially low, stock prices are artificially high. I think that the burden of proof is on anyone who would assert that we are in a new age of persistently and steadily rising stock prices. Jim Grant: Well, I can’t explain it. I can try to piece together what might be driving people to do that, but, to me, it’s a mystery. One thing to bear in mind is that bond prices have been rising and yields have been falling since fall of 1981. That’s a long time and there’s something in financial markets that we might call ‘muscle memory.’ Long-running trends tend to gather force, just as a rock rolling down a hill tends to pick up speed. There’s something about the persistence and age of this bull market that leads more people to think that it will continue. That said, fixed-income investors are intelligent and reasoning people. That can’t be the entire explanation. I see that in Europe money market interest rates are trending below zero. You have to search long and hard over the globe to find government securities in developed countries yielding more than 2%. In Ireland, some short-term securities are yielding less than 0%. Why would people buy them? I simply don’t know – I can’t fathom it –, but they certainly are, hand over fist. Jim Grant: Well, we have a pretty good historical record of what a bear market in bonds would look like. We had one in modern history, from 1946 to 1981. We had 25 years’ worth of persistently – if not steadily – rising interest rates, and falling bond prices. It began with only around a quarter of a percent on long-dates US Treasuries, and ended with about 15% on long-dated US Treasuries. That’s one historical beacon. I think that the difference today might be that the movement up in yield, and down in price, might be more violent than it was during the first ten years of the bear market beginning in about 1946. Then, it took about ten years for yields to advance even 100 basis points, if I remember correctly. One difference today is the nature of the bond market. It is increasingly illiquid and it is a market in which investors – many investors – have the right to enter a sales ticket, and to expect their money within a day. So I’m not sure what a bear market would look like, but I think that it would be characterized at first by a lot of people rushing through a very narrow gate. I think problems with illiquidity would surface in the corporate debt markets. One of the unintended consequences of the financial reforms that followed the sorrows of 2007 to 2009 is that dealers who used to hold a lot of corporate debt in inventories no longer do so. If interest rates began to rise and people wanted out, I think that the corporate debt market would encounter a lot of ‘air pockets’ and a lot of very discontinuous action to the downside. Jim Grant: Absolutely, it could. The Fed does not control events for the most part. Events certainly will end up controlling the Fed. To answer your question – yeah. I think the Fed can and will lose control of the bond market. Jim Grant: Well, let’s try to imagine a case where the Fed proposed to buy every single bond in existence. To do that, it would undertake to print more money than we – even us hardened veterans of the QE era – could imagine. If the Fed undertook to print the money necessary to buy all the bonds on offer, it would spook at least the more thoughtful investors, who would see that the Fed would certainly be undertaking a truly radical program of inflation. Jim Grant: Well, yes indeed. I think this is a time where people will look back on us and see it as a period of practically central bank worship. The central bankers – Draghi, Yellen, Bernanke – have become almost celebrities in America. People have invested unreasonable hopes in what these central banks can know, and what they can do. I think that, sooner or later, the investing public will become disillusioned of these ideas. 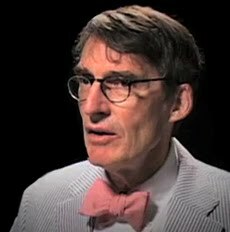 Jim Grant: Well, if we believe that financial markets are cyclical, then bear markets are inevitable — just as bull markets are inevitable. I wish I could tell you when these will happen – I can’t. I think that the nature of a safe haven will depend on the type of bear market and the reason for that bear market. You can imagine a bear market in bonds where the reason was an unscripted burst of prosperity. Let’s say that the indestructible American economy, for whatever reason, got back its mojo, and the Fed seemed to be way behind the curve. Interest rates would go up for the wholesome reason that things were looking better. At that point, you could make a very good case for common stocks. Jim Grant: I don’t know how to read it. Maybe after 40-odd years in the same place, Bill Gross deserved a change of scenery? I think he has enough money to retire – I dare say he could scrape by on a billion or so. He seems to want to continue to work – that’s laudable. Insofar as his exit having a deeper meaning, it may be to underscore the new illiquidity of the bond market. On news of his exit, a lot of different classes of fixed-income securities sold off, and I wouldn’t have expected Treasuries and mortgages to move the way they did. We at Grant’s think that the illiquidity of fixed-income securities might be one of the important themes of the coming autumn for the bond market. Jim Grant: Correct. What you want is a ‘greater optimist’ and it’s not clear that a ‘greater optimist’ will be available when you want to get out.